ASTER S.cons.p.A. is the regional innovation consortium of Emilia-Romagna. Its main activities are related to fostering the innovation of the productive system, the development of structure and services for industrial research, the cooperation between companies and research and the valorization of human resources in these fields. ASTER assists the regional government in the definition of the innovation and industrial research policies, for the following specific goals: i) promotion, development and growth of Emilia-Romagna High Technology Network, consisting of industrial research laboratories and innovation centers, and organized in thematic platforms; ii) organization, in cooperation with Universities and Research Centers, higher education and training initiatives for the valorization of human capital in companies R&D departments. ASTER is the coordinating beneficiary of Biomether and responsible for communication actions. 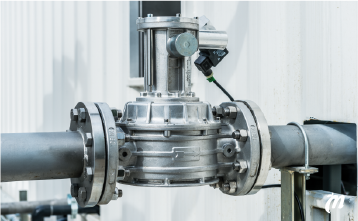 Emilia-Romagna Region The DG Productive Activities of the Emilia-Romagna Regional Government has identified in biomethane one of the most promising strategies to reach the specific goals of the Regional Energy Plan. The Region participates to the project as co-financing institution, as member of the Steering Committee and of the Technical Committee through the Energy and the Agrofood System Development Services. CRPA Lab Active since 1972, CRPA – Reserch Center for Animal Productions offers its expertise to private and public organizations in the field of agrofood industry and environment. It is a research and consulting organisation dealing with the improvement of the livestock sector and the related agro-industry by means of researches, studies, dissemination and technology transfer actions. The capital holders are the local public authorities, some farmer unions and a bank foundation. 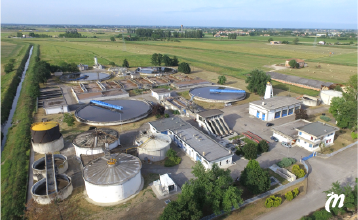 CRPA is a member of CIB (Italian Biogas Consortium) and has undertaken biogas and manure/organic waste treatment-based projects (studies, monitoring and supervision of pilot and demonstration plants for biogas production) for the European Union, the Emilia-Romagna Region, and several other research organizations. CRPA is member of the High Technology Network of Emilia-Romagna, participating to both Agri-Food Platform and Energy and Environment Platform. In Biomether, CRPA Lab is the scientific coordinator. IRENSPA is a multiutility company listed on the Italian Stock Exchange, operates in the sectors of electricity (production, distribution and sale), thermal energy for district heating (production and sale), gas (regasification, distribution and sale), the management of integrated water services, environmental services (collection and disposal of waste) and energy services. IRENSPA is structured as an industrial holding with its main corporate offices in Reggio Emilia, operating units in Genoa, Parma, Piacenza, and Turin, and separate business units (and correspondent subsidiaries) in charge of the individual business lines. 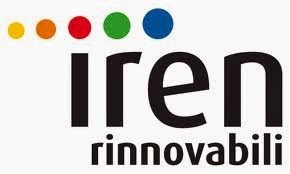 Holding company, Iren S.p.A. handles strategic, development, coordination and monitoring activities, while the four business units ensure the coordination and development of the business lines. more than 726.000. 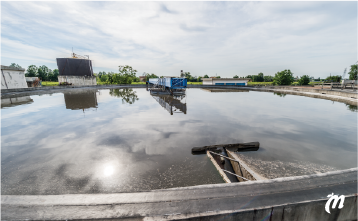 Moreover IRETI manages more than 1.000 wastewater treatment plants in Liguria Region and in Parma, Piacenza and Reggio Emilia provinces, and has experienced in biogas production and utilization for wastewater thermic treatments and internal usages. 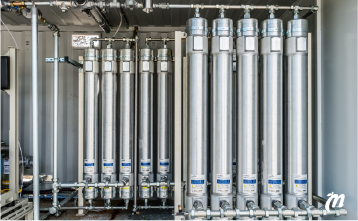 IRETI manages the Roncocesi waste water treatment plant where BioMethER demonstation plant is installed. HERAmbiente The Hera Group is a leading Energy (distribution and sale of methane gas,electricity and district heating), water and environmental services company on the Italian scene. It was founded in 2002 as a result of the first and most significant business combination in the public utilities sector. The company currently operates over Emilia-Romagna region and serves over three milion people with 6,700 employees. industrial waste (hazardous and non hazardous). In 2010 Herambiente has treated 5.4 million tonnes of waste in 73 plants (waste dumps, waste-to-energy plants, selection plants, composting plants, chemical/physical treatmens plants,etc.). 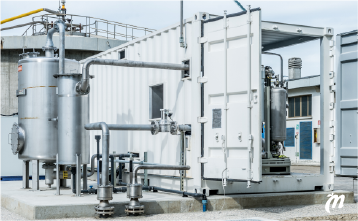 In particular, Herambiente has been driving investments in WTE plants, sludge treatment plants, energy recovery plants from biomass, and energy recovery from landfill biogas. 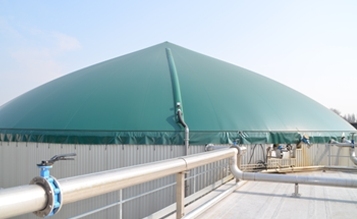 Within Biomether, Herambiente is responsible for the demonstration plant upgrading landfill biogas to biomethane. 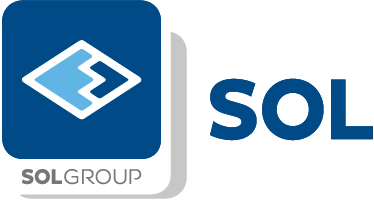 SOL Group is an Italian multinational group which operates in Italy, in 22 other European countries, Turkey, India and Morocco. SOL Group is engaged in production, applied research and distribution activities pertaining to industrial, pure and medicinal gases, in home-care medical business, as well as in the sector for related medical equipment. The products and services of companies belonging to the Group are used in the chemical, electronics, iron and steel, engineering and foodstuff industries, as well as in sectors such as environmental protection, research and health. Since 1973 SOL is present in Emilia-Romagna with a plant located in Ravenna. Within Biomether, SOL is the technical partner responsible for the design and realization of the two upgrading plants.